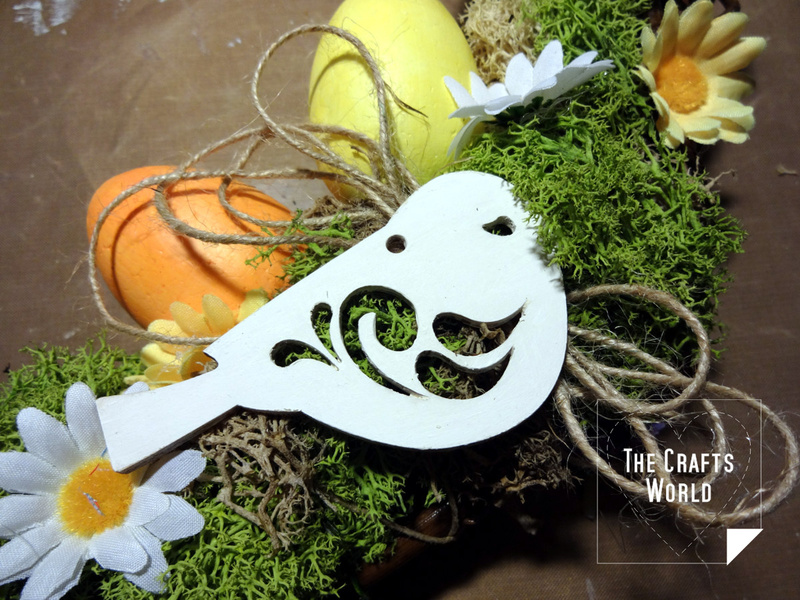 Make an Easter themed wreath to decorate your home door or any other place in your house. 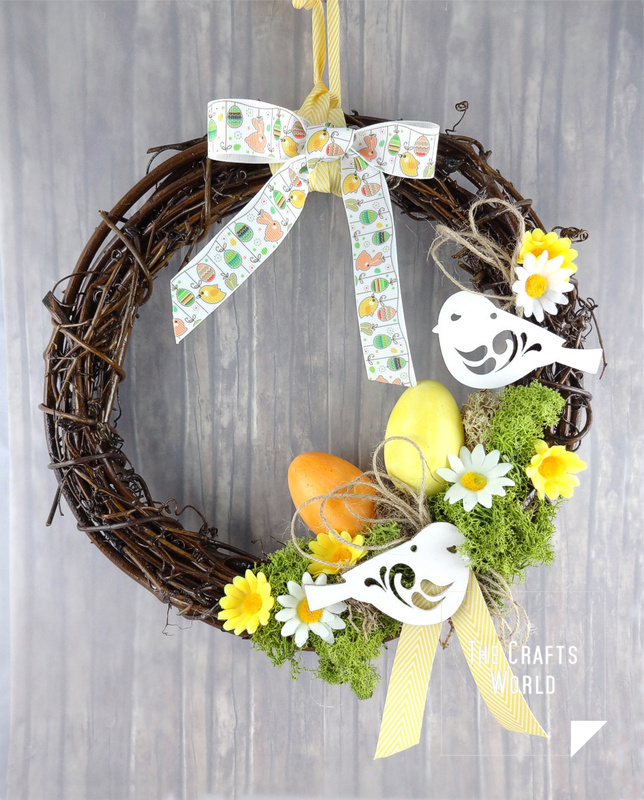 The wreath decoration is made in a way that you can easily replace the eggs and the Easter ribbon with other embellishments, such as large flowers and a spring theme ribbon, to keep the wreath beyond the Easter season. 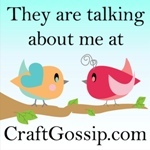 Find this and many more projects in Buddly Crafts magazine! 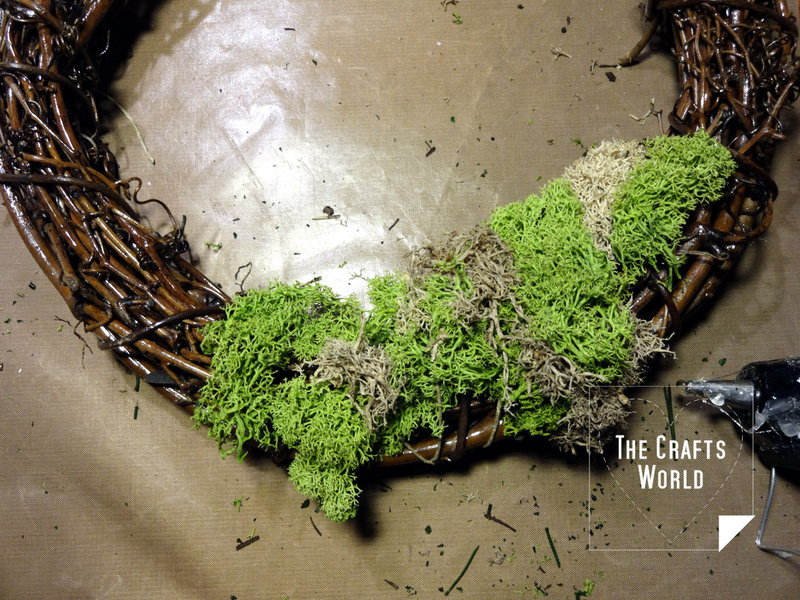 Mix different colour of moss and secure them on the wreath with some jute string. 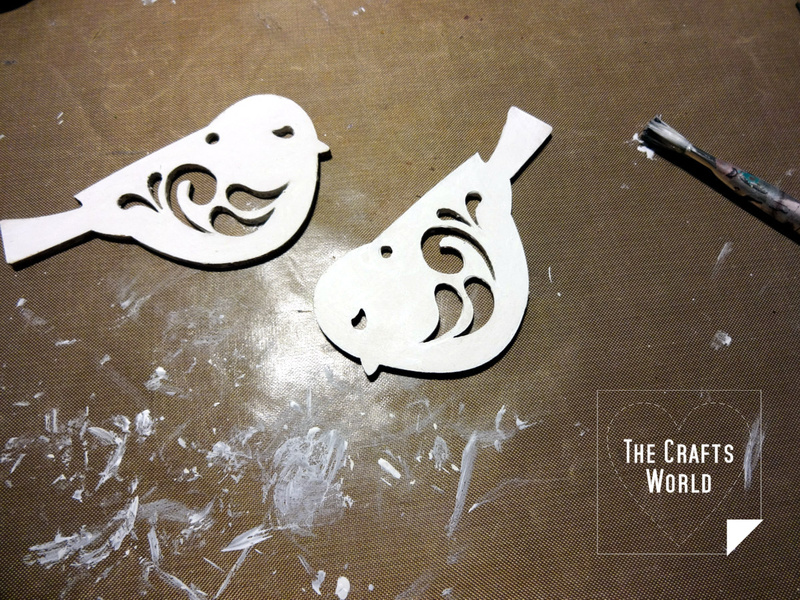 Use your hot glue gun to set small pieces or position better the moss to the desired design. 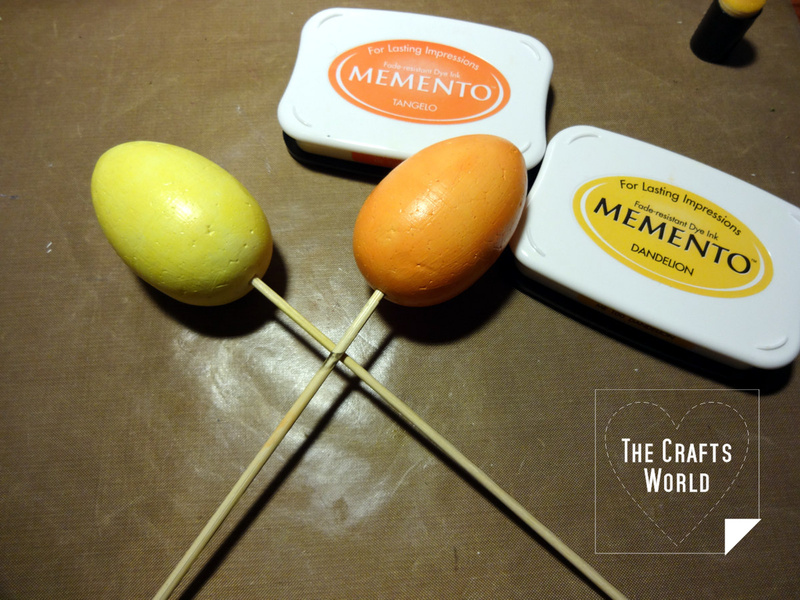 Use the gesso primer to cover two styrofoam eggs and then colour them with the Memento inks. Paint the bird tags with the white colour and let the dry well. 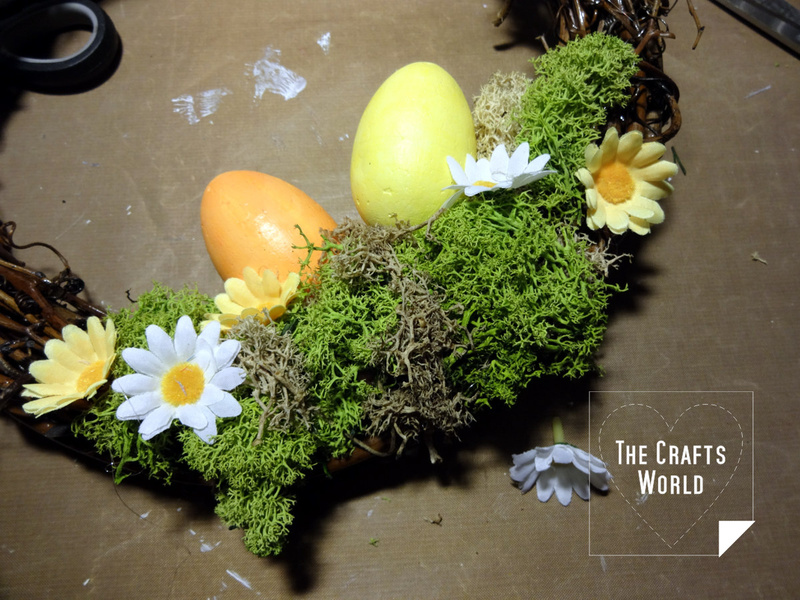 Set the two eggs on the moss and the wreath using two toothpicks. This will make it easy to remove later and replace with other embellishments in order to have the wreath beyond Easter period. Glue the flower heads on the moss and the wreath. Make loops of jute twine and glue it on the moss, just below the eggs. Continue with a small yellow chevron ribbon cutting and one of the birds. Place the other bird to the right side above the moss. 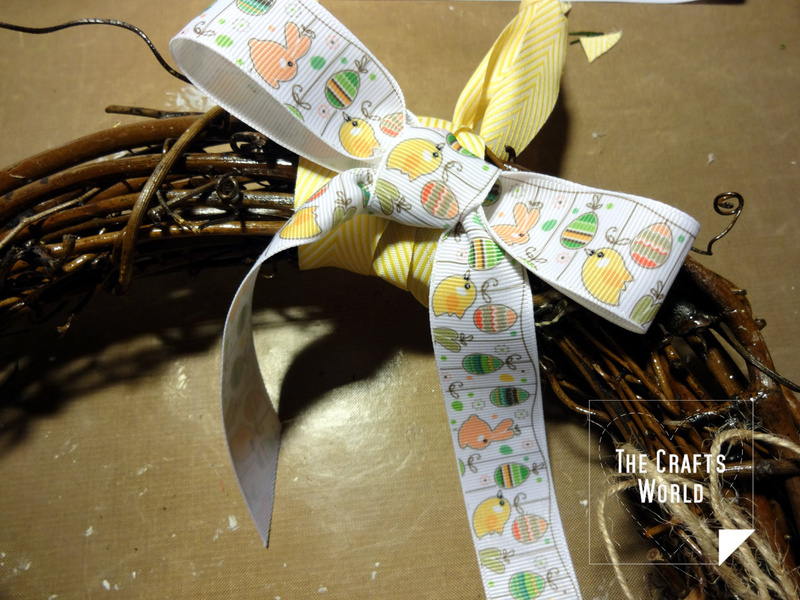 Wrap the yellow chevron ribbon on the top of the wreath and tie. Make a bow from the printed Easter ribbon and glue it on the chevron ribbon.